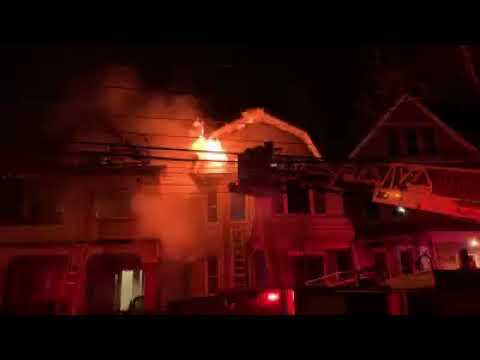 A Jersey City firefighter was hospitalized but no other injuries were reported in a five-alarm blaze that ripped through three homes just before dawn Tuesday, authorities said. The fire broke out in one home on Wegman Parkway near Ocean Avenue and then spread to two others, Councilman Daniel Rivera said. City police were immediately at the scene, alerting residents to get out. “Kudos to them as well [as the firefighters],” Rivera said. It was the third blaze city firefighters had to contend with overnight, the councilman noted. Neighboring municipalities sent their firefighters, he noted, adding that EMS workers and paramedics deserved credit, as well. “Let’s keep these families in our prayers,” Rivera said.